They say first impressions count. I’d say this is especially true in the leisure or hospitality industry, a good or bad first impression really sets the tone for the rest of your experience. 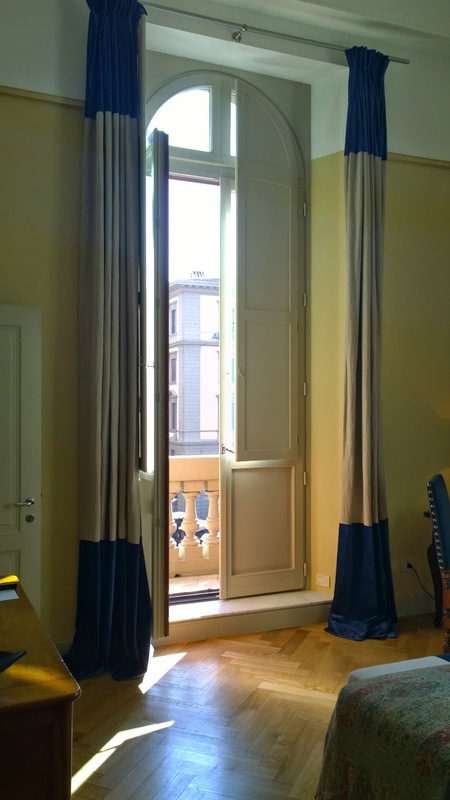 From the impressive presence in the historic centre of Florence to the delightful doormen with top hats, my experience at Hotel Savoy was impeccable from the outset, just as I’d expect from a Rocco Forte hotel. 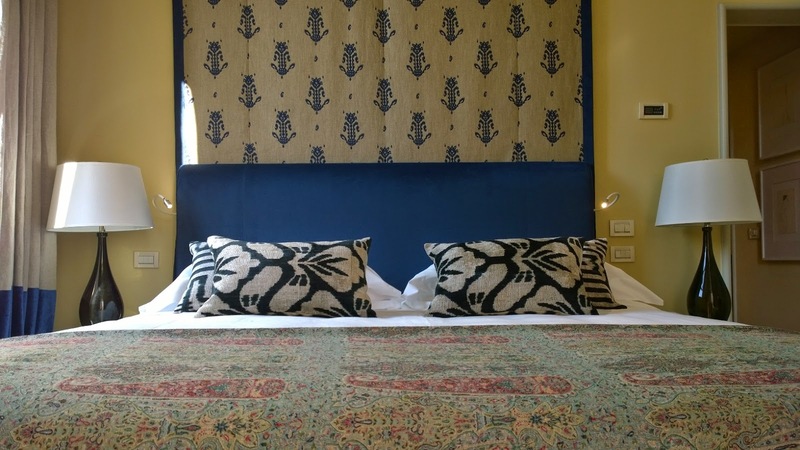 Located on the picturesque Piazza della Repubblica and just a stone’s throw from the resplendent Duomo, the Hotel Savoy is literally in the historic centre of Florence. 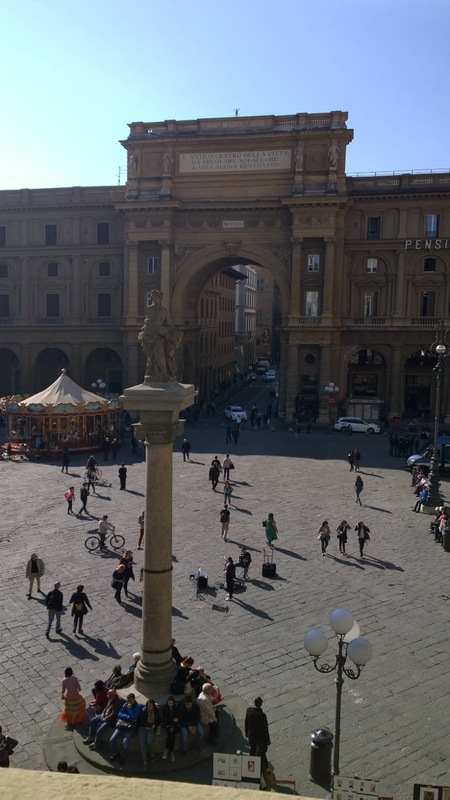 Beautiful architecture surrounds the hotel and it is such a treat to have a view of the lively Piazza from the hotel. The hotel is also seconds away from La Rinascente, all of the major fashion houses and the Uffizi gallery, the Hotel Savoy enjoys one of the most enviable locations in Florence. To say I had a warm welcome is an understatement. I was greeted by name by very dapper top-hatted doormen who seamlessly took charge of my luggage and ushered me inside. Check in was super-efficient and the hotel manager points out various art pieces and paintings styled by Olga Polizzi on the way to my room. I was fortunate enough to be staying in the newly refurbished Repubblica Suite, which is the delectable cherry on top of the exquisitely frosted Savoy cake. Located on the second floor with no less than four balconies, the suite’s recent refurbishment subtly marries antique furniture with contemporary art which pays homage to Florence’s fashion heritage, resulting in an understated statement. The suite comprised of a smart, elegant living room, two tranquil bedrooms and two bathrooms. The super high ceilings and swathes of natural fabrics give a real sense of space, it was a beautiful sanctuary in a busy, crowded city. 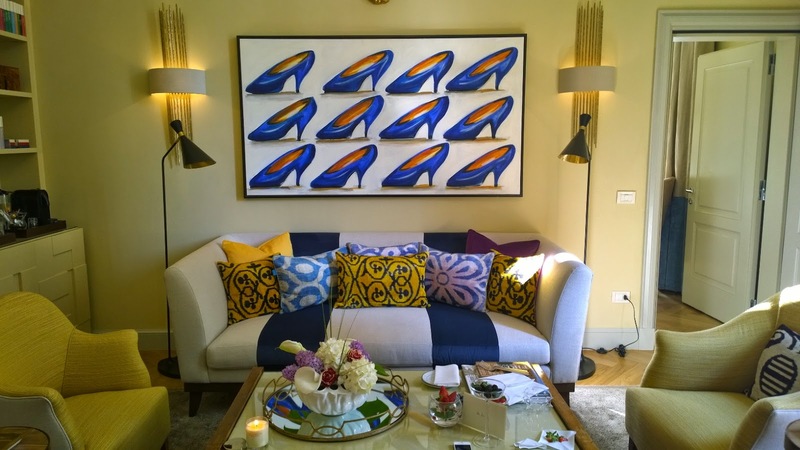 Sprinklings of contemporary art including a lovely painting of shoes in the living room sat alongside beautiful antiques, making the room feel homely and all the more welcoming. 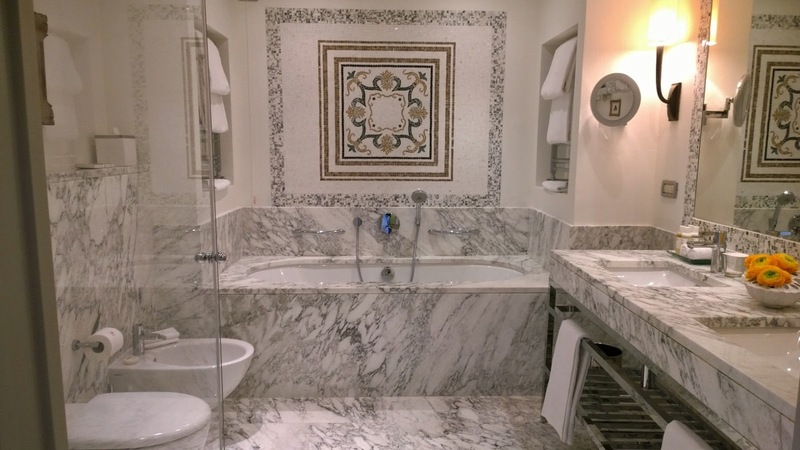 The exquisite marble bathroom was a sight to behold, I audibly gasps when I slid the door open! With a huge bath in addition to the obligatory rainfall shower and stunning mosaic detailing, the bathroom really was something else. Though the room, décor, beds and bathrooms were all perfection, I still haven’t touched on the real piece de la resistance – the four balconies. Four. One in the living room, one for the second bedroom and two for the master bedroom. Each had a priceless view of the Piazza della Repubblica. From the master bedroom, I looked out across the square and felt like I was on the Royal balcony at Buckingham Palace! There are two ancient Roman roads leading into the piazza with a column erected where they meet, with signifies the historic centre of Florence…a stone’s throw from the balcony. 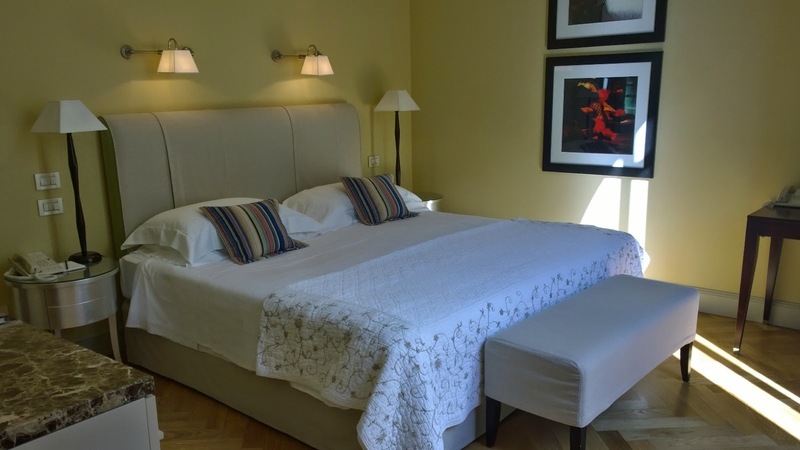 My experience at Hotel Savoy was sublime, everything from the staff to the room was faultless. A real haven, I don’t usually spend a lot of time in hotel rooms but I was almost loathed to leave Hotel Savoy. It is totally the real deal, a top notch hotel that just gets it right from start to finish. I’m already planning my next trip back to Hotel Savoy, if you visit Florence there really is no better place to stay.